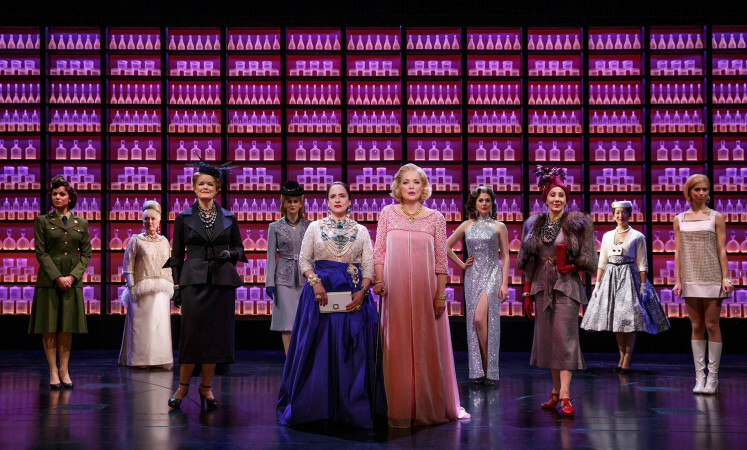 A glossy, if rather slender, new musical, War Paint is a chance to luxuriate in the performances of a pair of Broadway’s greatest divas. 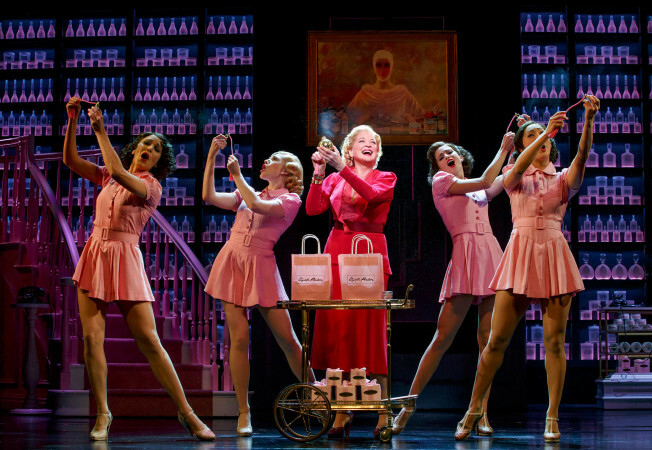 Two-time Tony Award winners Patti LuPone and Christine Ebersole prove utterly deserving of such a splendid showcase for their talents, each performing in peak condition. Beauty pioneers and masters of self-reinvention, Helena Rubinstein and Elizabeth Arden lived remarkably similar, parallel lives. The women are notable not just for the introduction of cosmetics and beauty products to American women, but also for their business acumen in running successful companies bearing their own names. As the concept for a musical, Rubinstein and Arden’s lives are filled with opportunities for juicy conflict, soaring ballads and stunning period costumes. There is just one slight catch: despite running beauty empires in New York at the same time, in real life the women rarely, if ever, crossed paths. Anyone watching current hit television series Feud knows that the meatiest, most compelling scenes are the ones where Joan Crawford and Bette Davis cross swords directly. 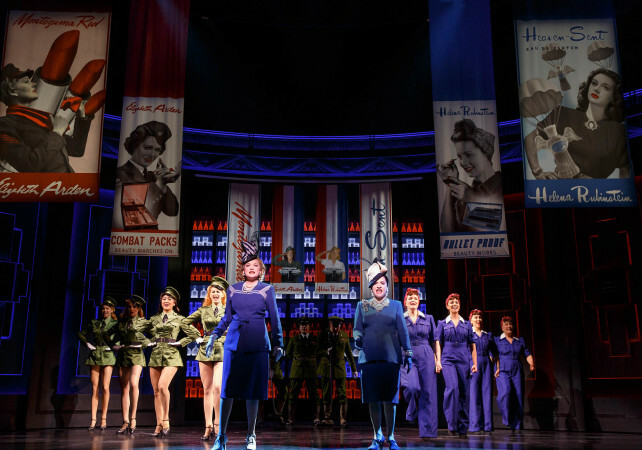 Without this direct conflict, War Paint unfolds as a pair of bio-musicals, alternating its focus on each woman with a smattering of simultaneous scenes as each faces similar issues. Doug Wright’s book makes the most of opportunities for bitchy one-liners but provides little tension as the twin plots unfurl across the decades. Scott Frankel’s music is beautiful, more melodiously beautiful than his work in Grey Gardens (with the same two co-authors), and yet, on first listen, the music all sounds quite similar. Michael Korie delivers snappy, cleverly rhymed lyrics that are a pleasure to hear. The women each lose their key male colleague to the other, and go on to face difficulties during World War II, with further challenges provided by the emerging discount and youth markets. In an amusing and enlightening sequence, the women each shoot themselves in the foot by taking the other to court over product recipes, leading to the ruling that ingredients must be listed on product labels. While act one ends with a brief moment in which Rubinstein and Arden come “Face To Face,” the authors have contrived a satisfying final scene between the pair. Backstage at a gala function, the women trade barbs and putdowns, before melting towards a more humane approach to each other. The subsequent duet “Beauty in the World” is a stirring finale. David Korin’s scenic designs have the luxurious edge that befits the glamorous world of the beauty business. A clever touch is walls of frosted glass bottles that can be lit in a range of colours to distinguish the setting of each woman’s beauty salon. In a striking scene, the elderly Rubinstein reflects on the artists who have captured her likeness as a wall of portraits hang overhead. Costume Designs, by the redoubtable Catherine Zuber, are not decadent, witty and pristine, but also help to tell the story with the passing of the years made perfectly clear. 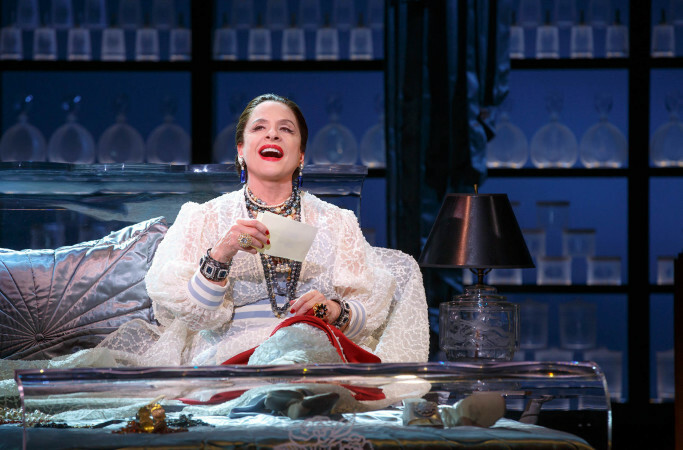 LuPone is deliciously entertaining as the driven Rubinstein, who sneers at the world and wears her Polish accent as a badge of pride. 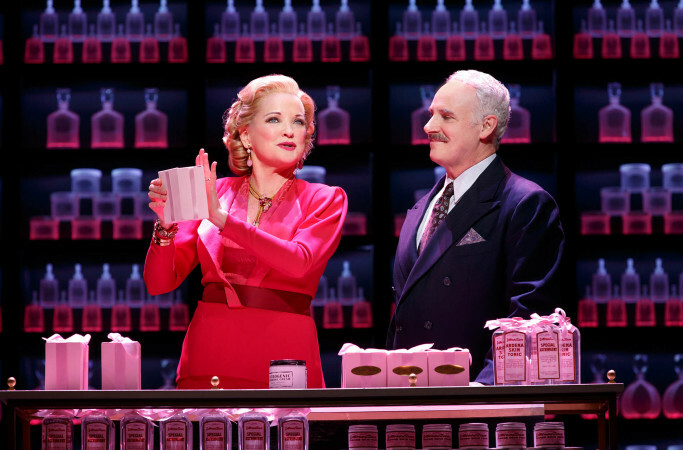 Pretty in pink, Ebersole is equally suited to her role, ruling her empire with fabled iron fist in a velvet glove. Each of the women are in particularly string vocal form, and their singing is a pleasure to hear. This is a woman’s world, and, unlike Hollywood, the men are relegated to second banana. John Dossett is Tommy Lewis, Arden’s clever but unsatisfied husband who leaves to work with Rubinstein. Douglas Sills is self-confident homosexual Harry Fleming, who, frustrated with Rubinstein, is tempted by Arden to come and work with her. The eight highly talented members of the female ensemble work nonstop throughout the show, playing any number of varieties of female roles. Come for the divas; stay for the glamour. 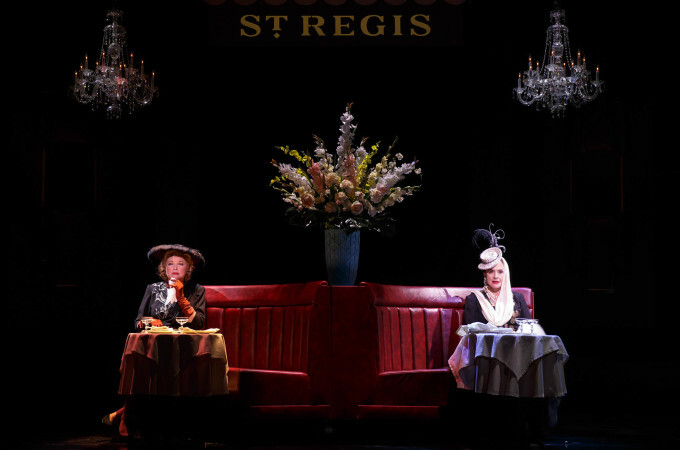 War Paint was reviewed 7pm Tuesday 11 April 2017 at Nederlander Theatre, New York. Hi Simon. I’m from Sydney & read your reviews all the time. I was at War Paint tonight as well! Totally agree with everything you said. Ms MuPone & Ms Ebersole were fabulous. Hi Danny, what are the chances! Did you see that John Kander was there. And Sharon Gless. Popular show. I am loving all the great new shows (and all the stars) this season. Keep enjoying your time in NY! Wow, no I didn’t realize they were there. I’m seeing Sunday in the Park tonight & Rosenkavalier tomorrow night. And I’ve saved Glenn & Bette for my last 2 nights next week. 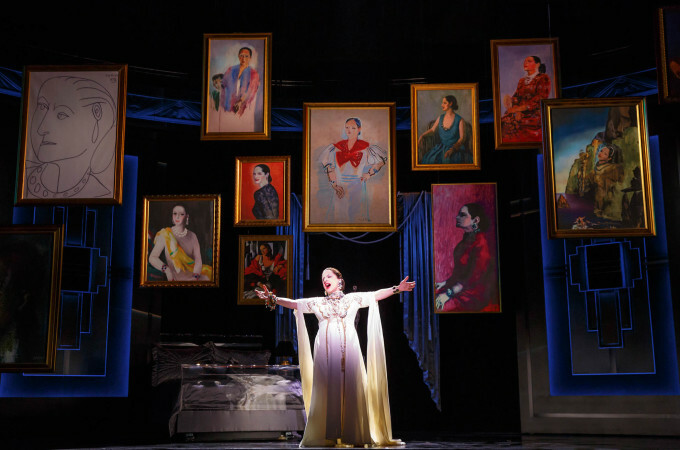 Tony Best Score nominations have neglected Anastasia and War Paint – scores that are actually well crafted in the Broadway tradition. I totally agree Rob. At least, thankfully, we will have cast recordings of all the musicals this season. For Anastasia, Ahrens and Flaherty did a brilliant job of integrating their movie songs into a full Broadway score.